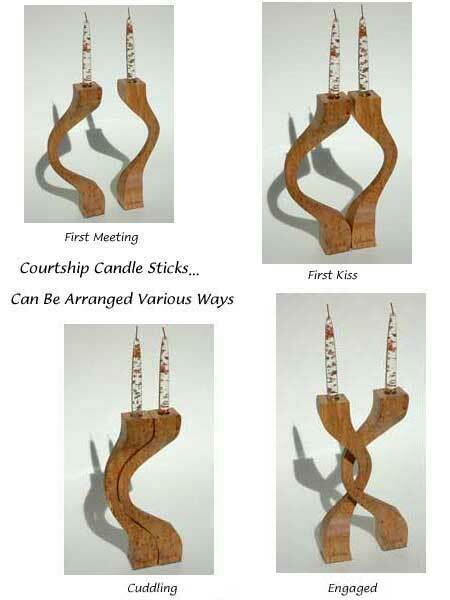 Courtship candle stick OUR MOST POPULAR ITEM. From that moment when you first met, to your first kiss, these elegant candle sticks can be positioned to express many or your intimate feelings. 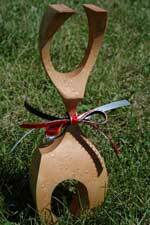 Wonderful gift to personalize for that new couple or to share with a loved one. Oil lamp Create a magical atmosphere with these one-of-a-kind oil lamps. Custom orders are possible. These oil lamps come complete with an 8 ounce bottle of smokeless and ordorless oil. The fiber glass wick does not burn out, allowing you endless burning. Photo Not Available. Call for details. Price varies. 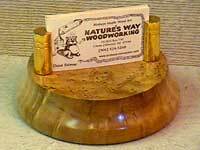 Business card holder Proudly display your business cards in perfect view with this hand-turned holder. U.P. 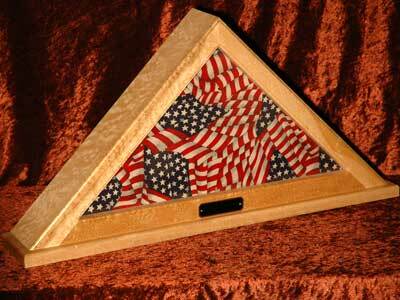 plaque 14" U.P. 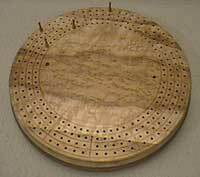 plaque made of Bird's Eye Maple. Perfect to have lasered with business name or have personalized for the home or office. 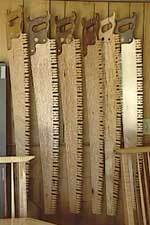 Cross-cut saw Authentic modle of an antique cross-cut saw made entirely of highly polished Bird's Eye Maple accented with a Walnut handle. 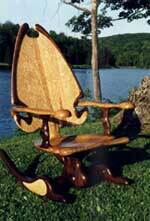 Note... We only have these available in cherry. 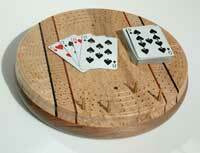 Birdseye Maple is temporarily out of stock. Reindeer -Sculpted reindeer. 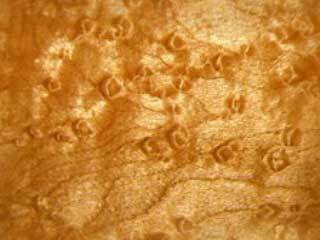 With Bird's Eye Maple, it creates the illusion of a new born fawn.